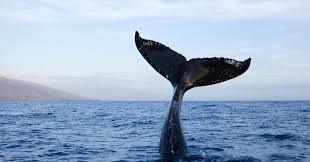 Yup, you read right: whale earwax. Scientists study a lot of strange and amazing things, but that’s not one I thought I’d ever read about. Not that I’d thought about it at all. As it turns out, whales produce earwax just like humans do. In whales, the buildup of earwax actually creates a plug in the ear canal; instead of impeding hearing, this plug acts as a hearing aid. The plug matches the density of water, allowing sound to travel through the ear canal unimpeded. Studying the layers of earwax allows scientists to learn more about a whale’s history. It reveals stress levels around mating. And, it shows exposure to pesticides and other pollutants. With advances in technology, scientists hope their whale earwax collection will open up new research possibilities. Gross. But really, really cool.